I'm in a pretty serious relationship, and it's with the DMC six strand embroidery floss colors. Actually if this were Facebook, I'd say "It's Complicated". 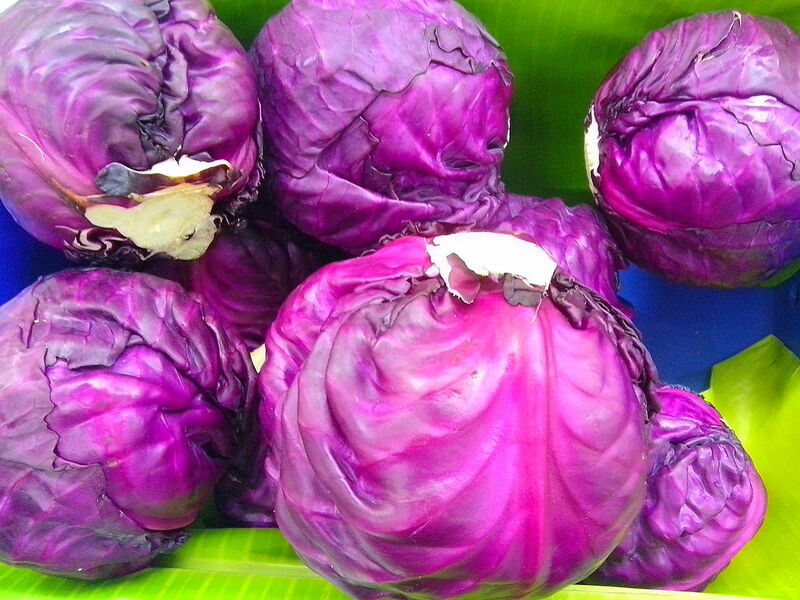 The DMC colors are my palette, but unlike a painter if I can't find the color I have in my mind, I can't mix a new one. I'm limited by the 454 colors they produce. So sometimes it's frustrating when the color in my head doesn't exist in thread form. But then there are the colors I find I go back to again and again and again. My all-star team. I thought I'd start a little series of posts celebrating these colors, and how I've used them! 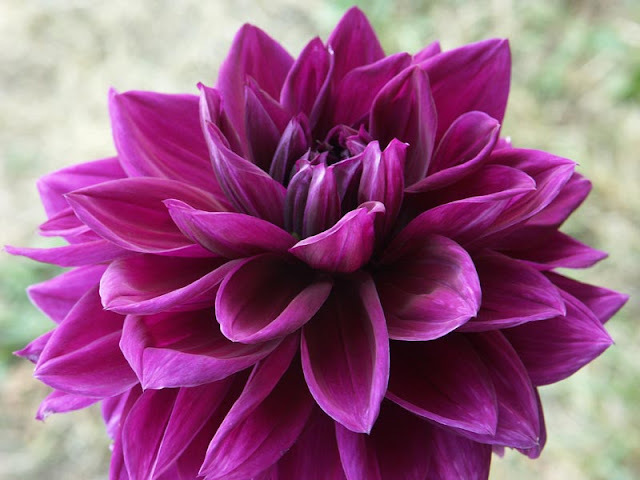 or this dahlia variety which is charmingly named "Thomas Edison"! So how and when do I use DMC 718 in my designs? I love it because it's one of those colors which our perception of changes depending on the colors around it, aka simultaneous contrast (I'm telling you, I'm a color geek!). 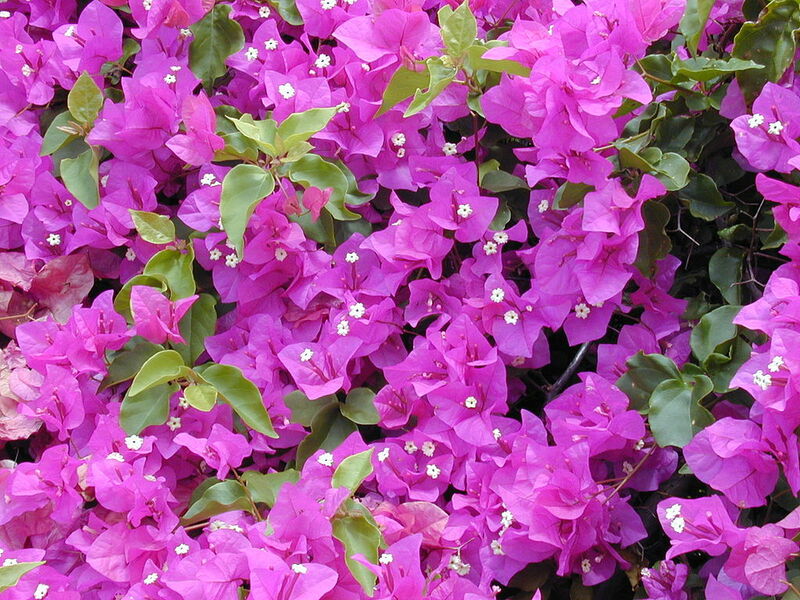 So 718 can look like a pink-ish red in some circumstances, or more purple-ish in others. That really helps when you're limited on the number of colors you can use in a design, because you can get more milage out of one color. So, that's my little homage to DMC 718! It's fun to look back over my designs and see the same color used in many different ways. Halloween is such a fun holiday to design for...but my favorite thing about it is that black cats get much more love during that time of year! I love black kitties, and my Garden Cat cross stitch pattern has steadily become one of the most popular Satsuma Street designs. So I naturally had to do a new Halloween design with black cats as the subject. This sassy black cat might be a witch...but the good kind. 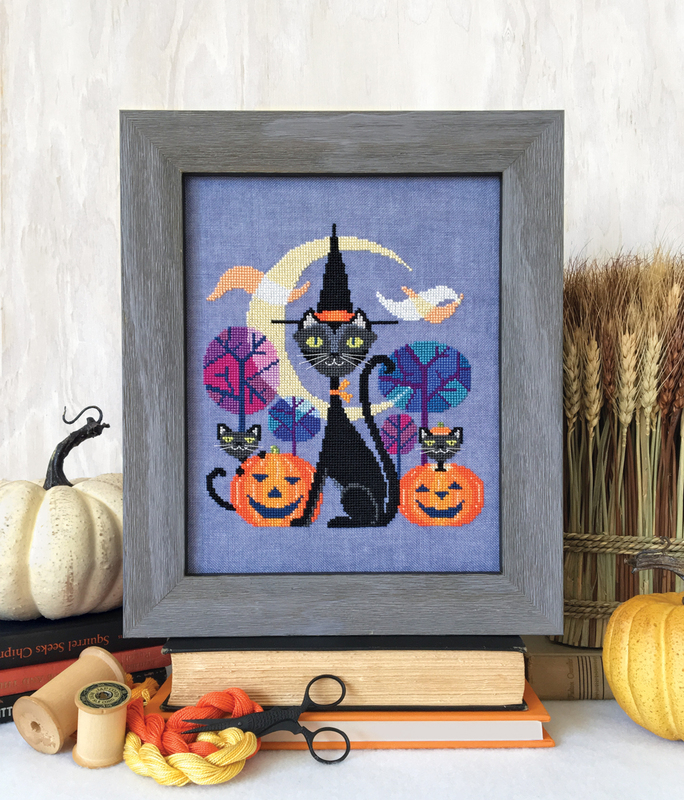 Add her two curious kittens, vibrant pumpkins, and a big spooky moon, and it's a stylish and colorful addition to your Halloween decor. This fabric is just dreamy in person...it's Weeks Dye Works 30 count linen in "Perwinkle". 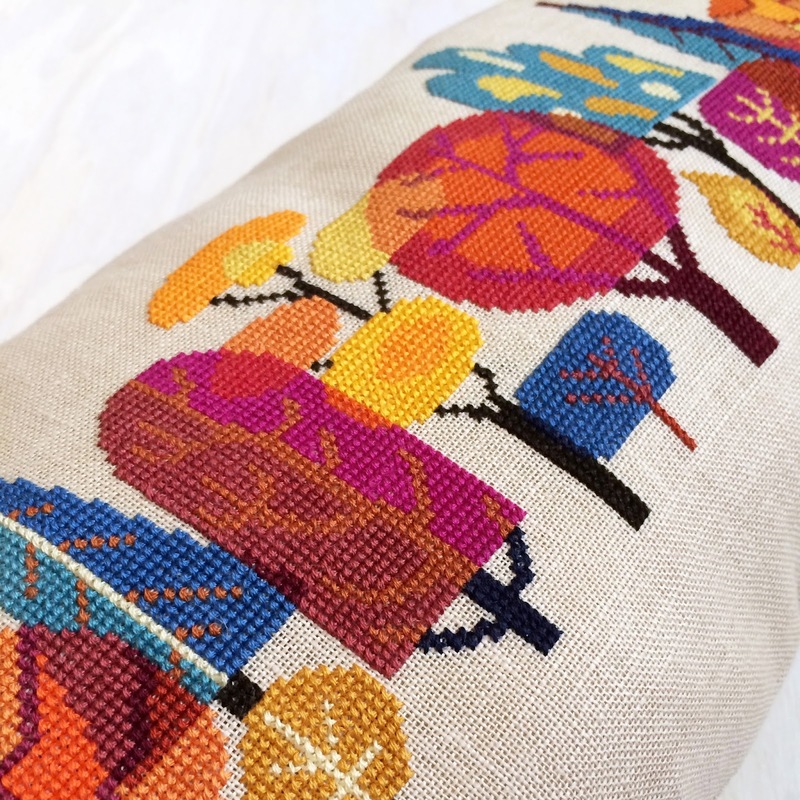 I love the combo of blue and orange (they're natural complements), and I always love experimenting with bright colors on colored fabric, as I did with my Merry & Bright design. If you can't find this fabric color, or you just prefer a more neutral choice, I recommend maybe using Cashel linen in "Raw Natural", or a natural colored linen Aida. 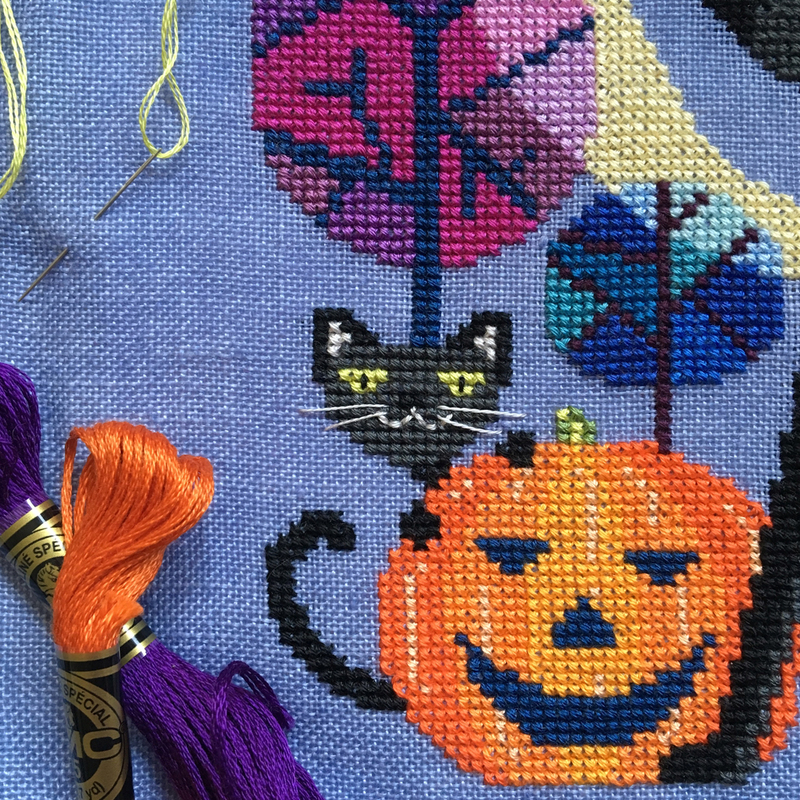 Whatever fabric you choose, this chart is really fun to stitch and there's plenty of time to make it before Halloween. 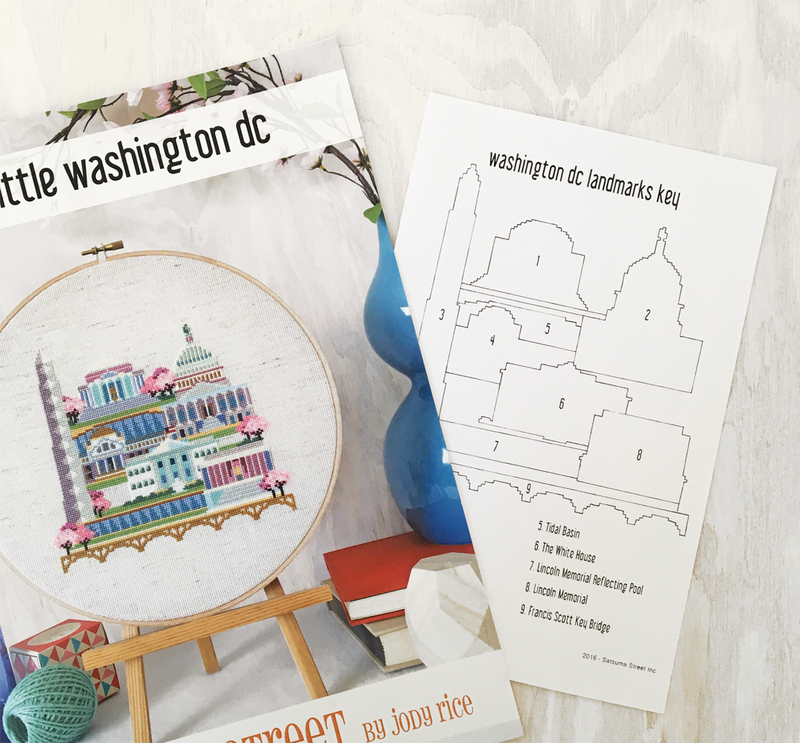 Buy the instant download of the pattern on Etsy, or contact your local needlework shop to see if they carry the printed chart! 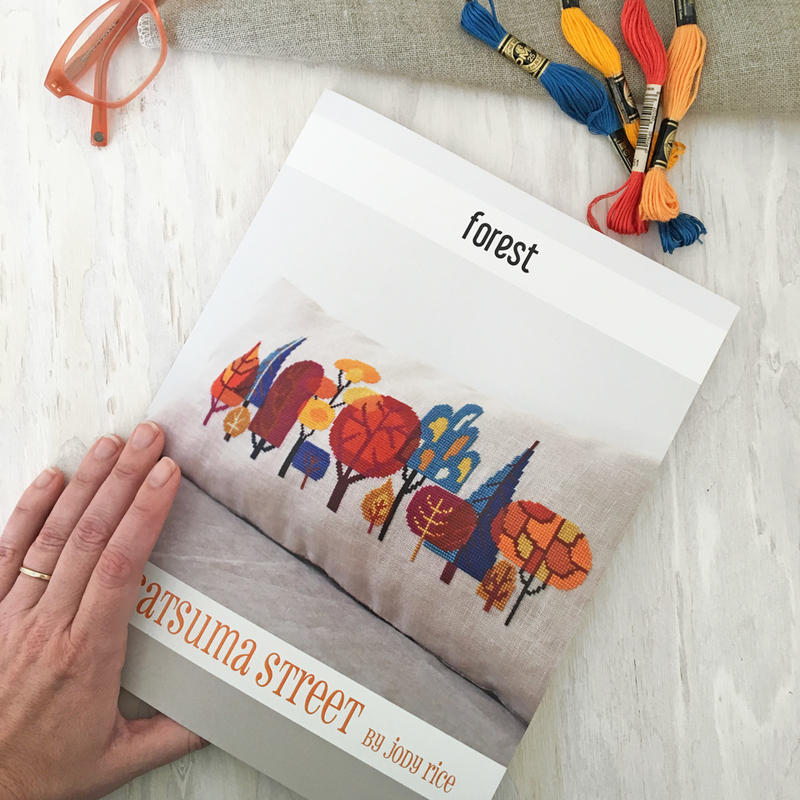 Satsuma Street patterns now available wholesale! I'm so excited to announce a project I've been working on for a long time...printed patterns for wholesale! 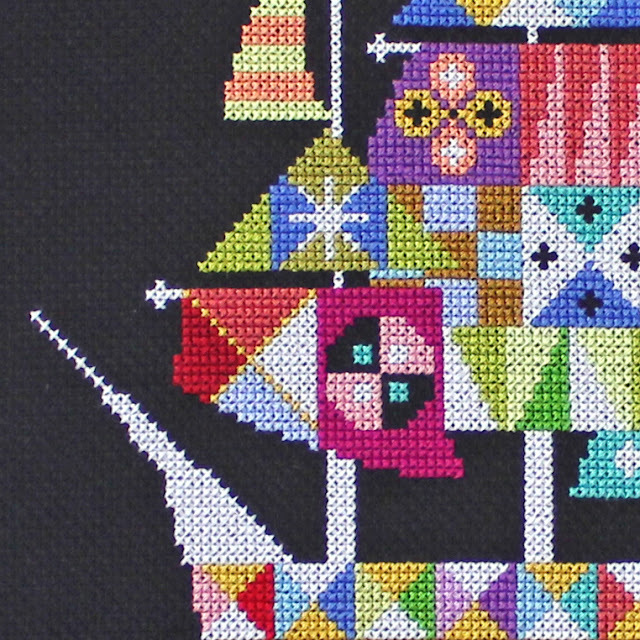 I've had a lot of requests over the last few years from needlework shops who wanted to carry my designs, but they were only available as digital downloads. 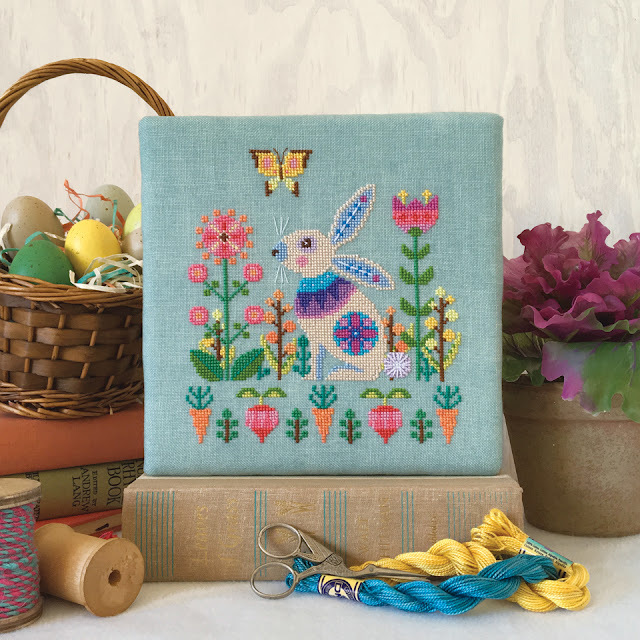 I know there are a lot of stitchers who prefer to purchase printed charts, or want to support their local needlework shop where they can also buy all the materials at the same time. Now, after a lot of work to redesign the charts for professional printing, I'm finally able to make them available to shops and retailers. In my totally unbiased opinion, the printed charts are really gorgeous! They're printed in full color on heavy cardstock weight paper, so they will last for many years. Each leaflet includes a DMC color list, stitch count, fabric suggestion, and finished size dimensions. In addition, all the city charts include an insert that lists the buildings and landmarks that are featured in the design! If you're a shop owner and you'd like to carry the charts, you can request a wholesale catalog and ordering info by emailing me at satsumastreet@gmail.com. And if you're a customer who thinks your local shop should carry them, let them know! Easter is just around the corner, so I've added this new cross stitch design to the shop to celebrate the Easter holiday and everything wonderful about Spring! 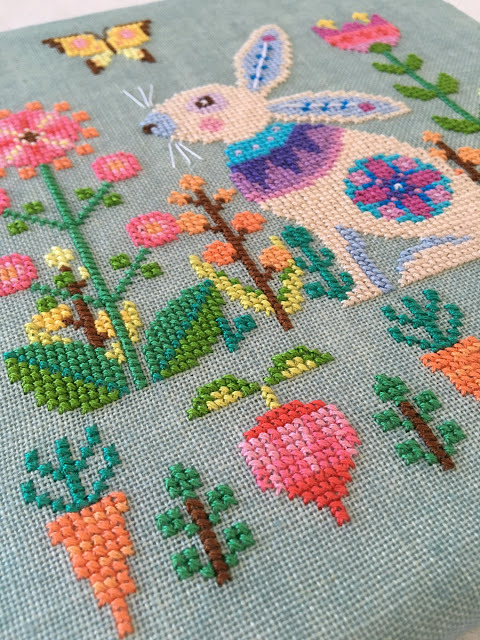 This happy little rabbit is in his element, surrounded by colorful blooms, new veggies, and a pretty butterfly. I've stitched it on Weeks Dye Works "Seafoam" linen, but it would look great on any fabric, especially a natural colored linen or a Fiddler's Aida. So celebrate the coming season with my modern, folk-inspired rabbit cross stitch design. But hop to it, because Easter is almost here! 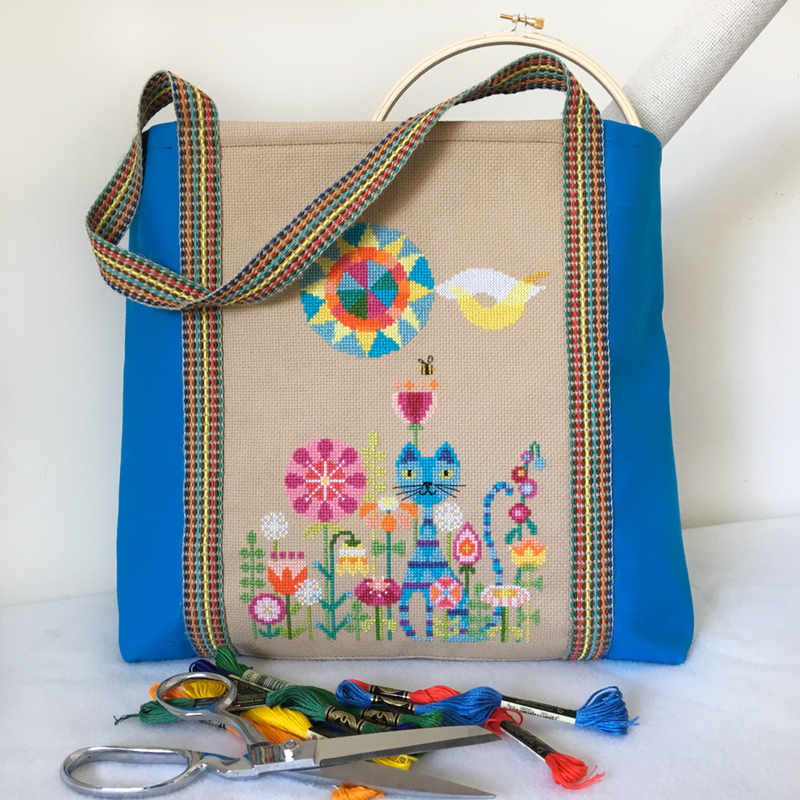 Turn your stitching into a tote! Here's a family secret...I didn't get my craftiness from my mom! In fact, I always thought the crafty gene skipped a generation in our family. 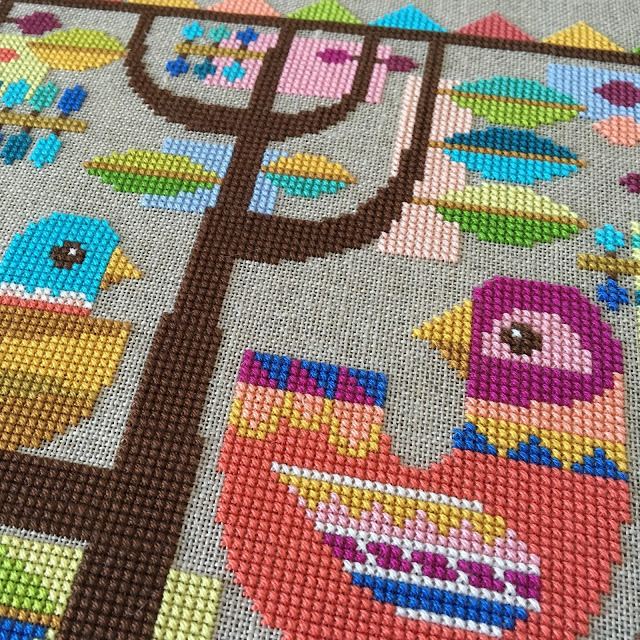 But after I started Satsuma Street, my mom decided she would give counted cross stitch a try, just to see what I was up to. And if you're a stitcher, you won't be surprised to hear that she quickly got addicted! After she finished the Garden Cat design, she told me that what she wanted for Christmas was for me to turn her stitching into a craft tote that she could use for her growing collection of floss and projects. She loved her gift, and I was pretty proud of it too! So I thought I'd share a few tips for how I did it. First off, I used this tutorial from Better Homes & Gardens as a starting point. I adapted the dimensions and pockets to suit my needs, for instance instead of a pocket in the center, I put the panel of stitching. If you want a really simple tote design, I like this one from Purl Soho. The body of the bag is made from a heavy canvas "duck" cotton. Since a craft bag used for cross stitch won't be filled with anything too heavy, I decided to use a fun woven trim for the straps rather than making straps out of fabric. It's made from jute and cotton, so it's pretty strong, but if you were using the bag for books or groceries, I'd recommend making sewn straps (which you could decorate with trim). 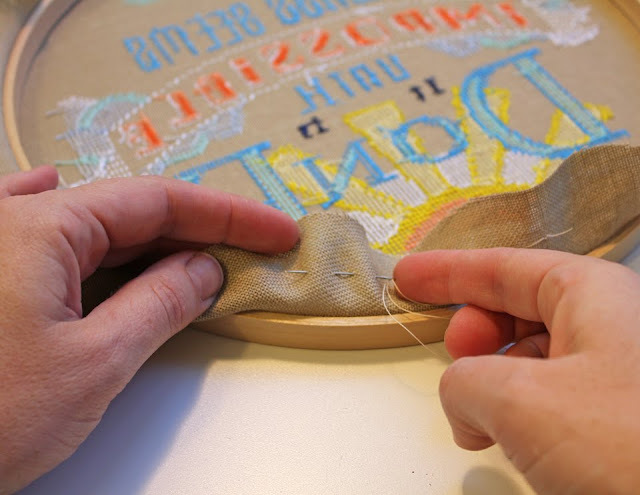 If you're going to put a piece of stitching on a bag, it will need to stand up to heavy use, so I recommend using a strong fusible interfacing on the back. That will make your fabric much stiffer and will help prevent stitches from being pulled out. I always love seeing how other stitchers use my designs, so please share your photos with me on Instagram (I'm @craftnik) or on the Facebook page! 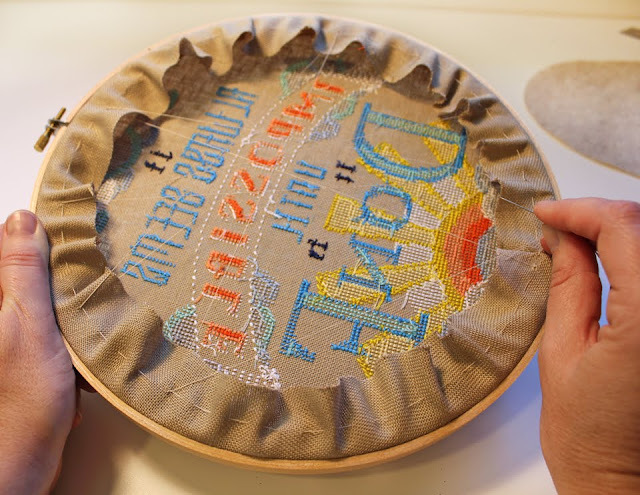 How to finish embroidery in a hoop! I get asked this question so often: how do you finish a cross stitch project in a hoop? So I figured I should finally write up a post with my method. It's a popular (and cheap!) 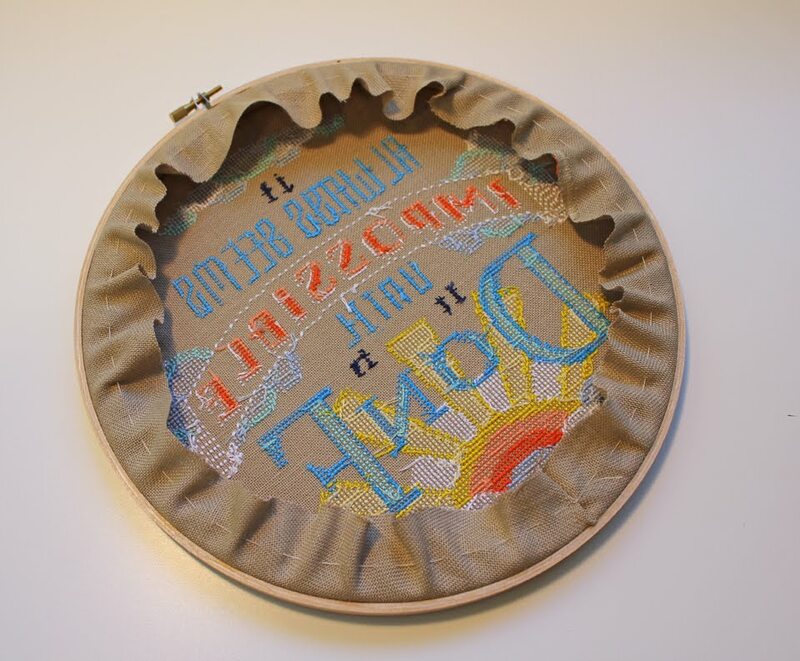 way to finish an embroidery project for hanging on the wall. This process works for me, but of course you can adapt it to suit your needs and materials. I've illustrated it here using my Impossible project, which was stitched on linen, but the same method applies if you use Aida or any needlework fabric. The first, and seriously kids...the MOST IMPORTANT step, is to iron your project completely and properly. 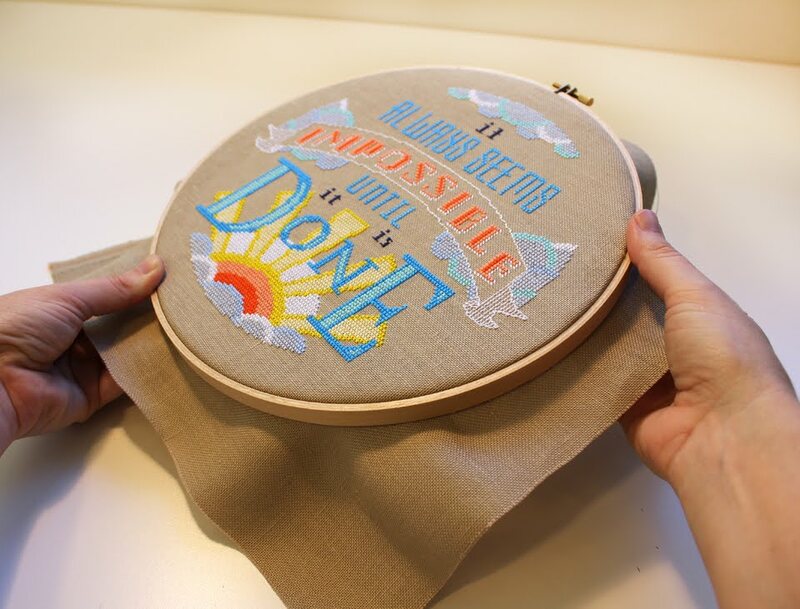 I see so many beautiful stitching projects that get framed with wrinkles in them, and it makes me want to cry! Also, if your fabric is at all dingy or stained after working on it, you should absolutely wash it before you frame it. Many stitchers insist you should wash every project, even if it doesn't look like it needs it, because the oils on your hands can cause stains to appear later. 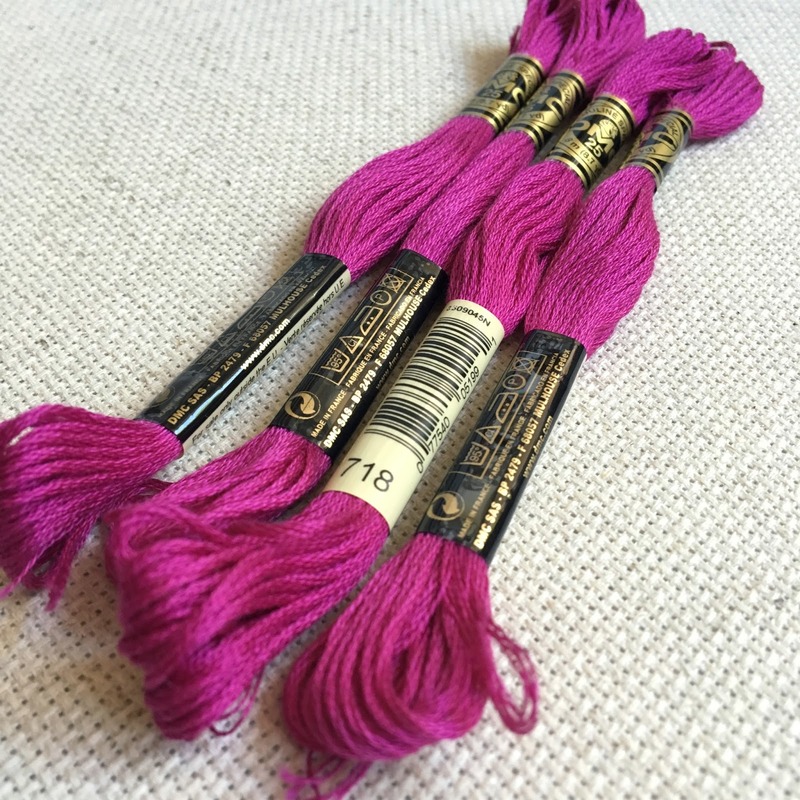 If you use DMC embroidery floss, it's color-fast and won't run when it's washed. Washing stitching is pretty easy, just hand wash in cold water using a few drops of dish detergent (not a laundry detergent like Woolite). Let the fabric soak, swishing it around gently. Don't wring or twist it. Rinse until the water is clear, then roll it in a clean dry towel to remove most of the water. Transfer to another dry towel and let it air dry until it's almost totally dry, then it's time to press it! I set my iron to the highest setting ("linen" on most irons) and I use steam. But you should definitely check your setting on a scrap of fabric first if you aren't sure, because scorching your project after all that work would be the worst! 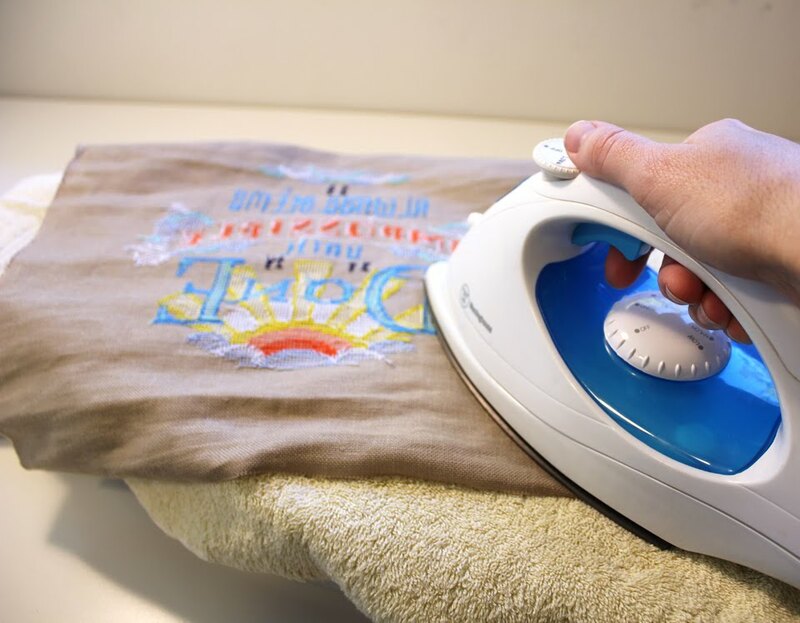 The main thing about the ironing step is that you want to put your stitching face down and press it into a towel. 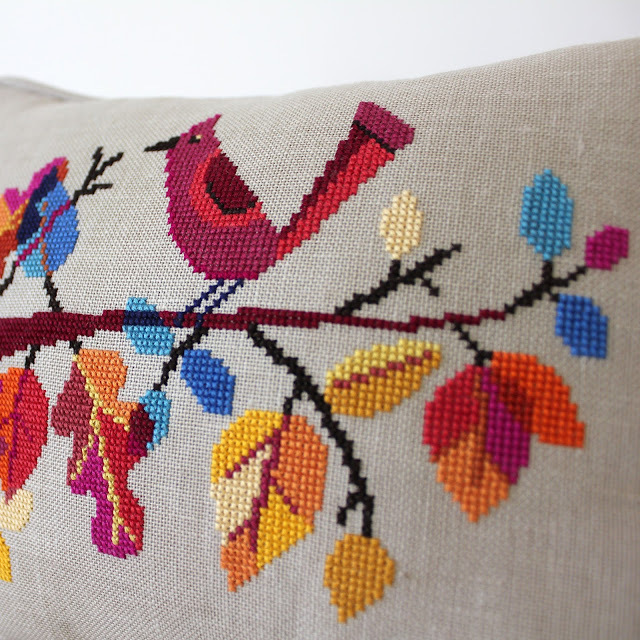 This keeps the stitches from getting flattened, which I think ruins the wonderful dimensional look of embroidery. Press it until every wrinkle is gone! If there are stubborn creases from a hoop, you may need to wash it to remove them. Less intense wrinkles can be worked out by lightly spritzing the fabric with a spray bottle before you press it. Absolutely don't use starch, as this can yellow over time and change the look of your fabric. Ok, now that your stitching looks perfect, set it aside. Take the inner part of the embroidery hoop (the one that doesn't have the clamp to tighten it) and trace the outside of the hoop onto your felt (NOT your stitching!). Then cut the felt circle out right on that line. Now it's time to center your stitching in the hoop. This is honestly the hardest part, so take your time. 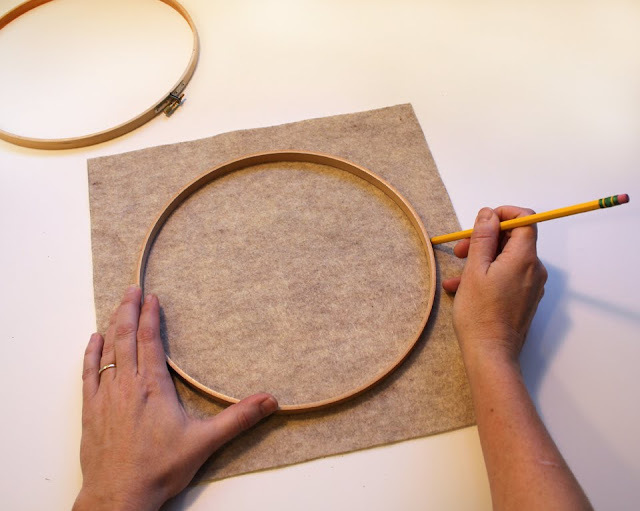 You want to make sure that the grain of the fabric isn't off-kilter, that the clamp on the outer hoop is lining up with the center of your stitching, and that the design is centered both horizontally and vertically in the circle. Don't tighten the clamp down too much while you do this, because you want to be able to reposition it until it looks good. Once you're happy with the position, now you want to tighten the clamp and really stretch the fabric as taut as possible in the hoop. Tighten a little, tug on all the edges, tighten a little more, tug a little more...keep doing that until the clamp is as tight as it will go and the fabric is as taut as a drum. Next, trim your excess fabric to about 1 1/2" outside the edge of the hoop. Then, cut a very long piece of the sewing thread...at least a yard long. Make a big knot in one end and start to sew a very large running stitch around the edge of the excess fabric, about 3/4" from the edge of the hoop. When you've stitched around the whole circle, pull the thread tight so that it pulls the excess fabric in towards the middle of the hoop. Knotting the thread off while keeping it tight is a bit tricky, you need to keep the thread tight with one hand while sewing a small tight stitch with the other hand, then knot your stitching and cut the thread. Your lacing stitches should catch the fabric between the hoop and the gathering stitch, not at the very edge of the fabric, or they will pull through the weave of the linen. Lacing the fabric in place helps to prevent it from sagging or relaxing in the hoop later. You're almost done! Now you want to cover the back with your felt circle. I usually glue mine in place with craft glue, but if the permanence or mess of glue scares you, you can hand sew it instead. You don't need a ton of glue, and if you use thick craft glue, it shouldn't leak through to the other side of your hoop and ruin the front. But do be careful! If you glue it, it's sometimes necessary to weigh it down with a heavy book to help the edge dry flat. 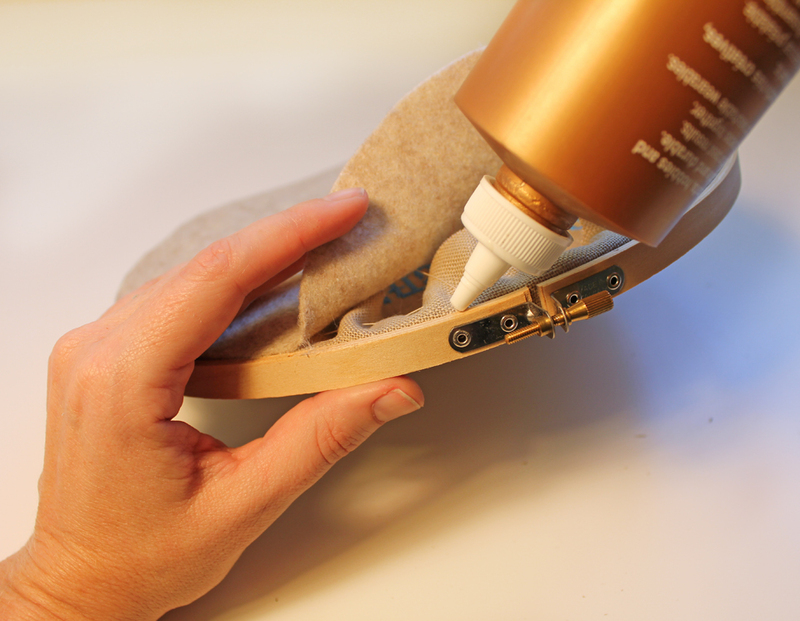 Dry it face up, just to make sure no glue drips end up on the right side of your fabric. 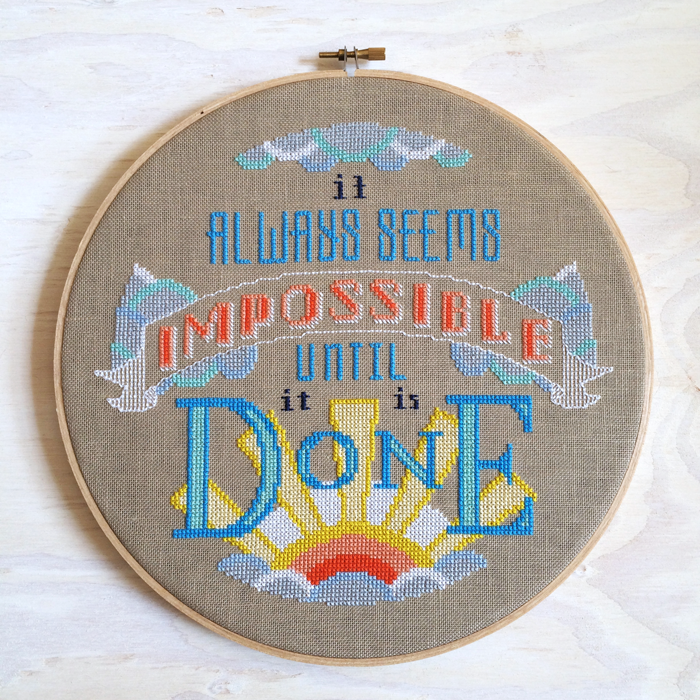 And though it may have seemed impossible, now you're done! I hope this helped answer your hoop-framing questions. If you have other tips or methods, leave them in the comments! It's a small, small, small world! 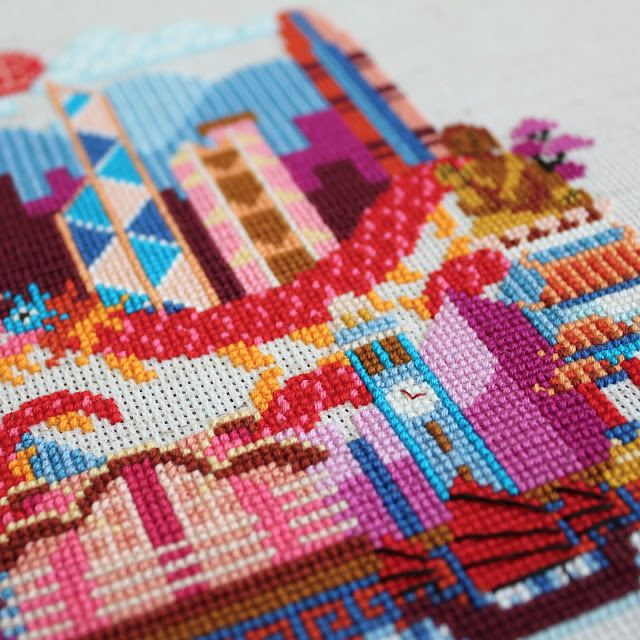 It should be no secret by now that I love modern cross stitch cityscapes... my shop is full of them! But the Pretty Little City patterns can take a bit of time, and sometimes you want a smaller project you can do in a weekend. That's why I'm so excited about my new pattern, the Mini Cities Trio! 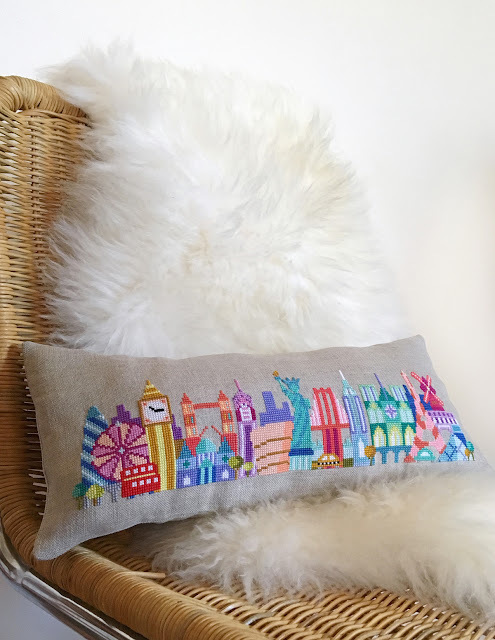 The pattern includes mini versions of London, Paris and New York City that can be stitched separately, or combined into one long ultimate skyline. I stitched the combined version on natural linen and made it into a fun bolster pillow. 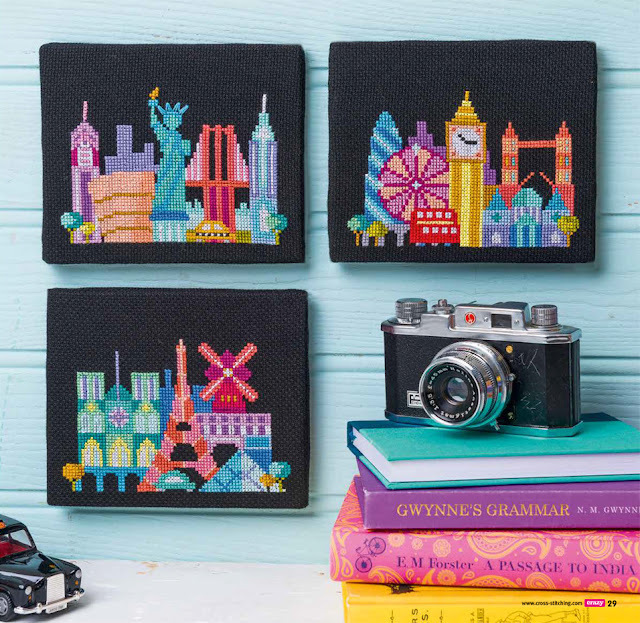 I originally designed the mini cities for Cross Stitch Crazy magazine where they were stitched on black Aida, which really makes the colors pop! 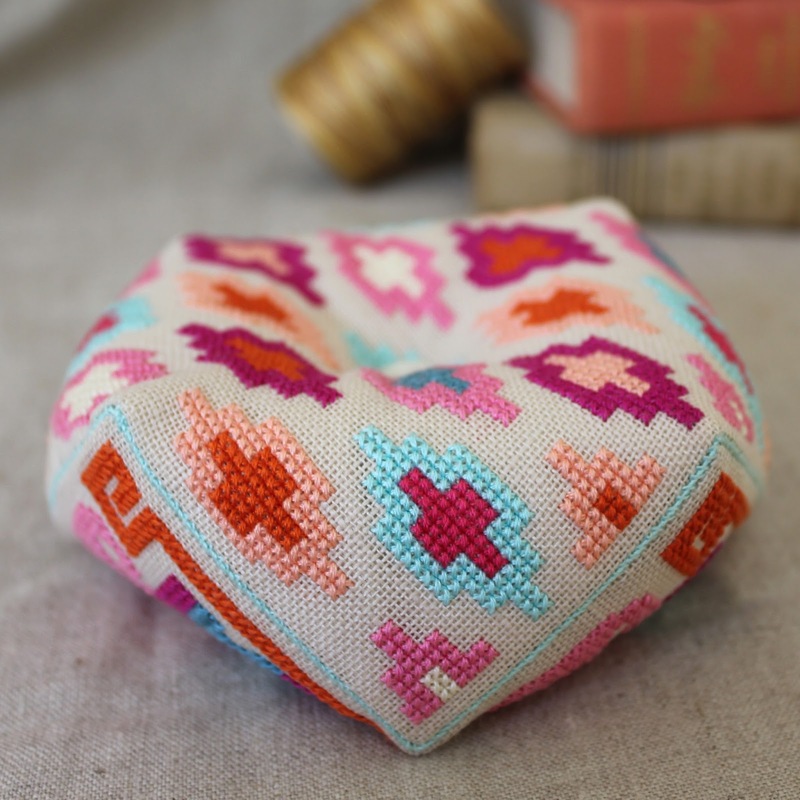 So whether you're in the mood for a small project or a larger one, this pattern download has you covered! You'll find the Mini Cities pattern set in my Etsy shop here. All text, photos and content are copyrighted by Jody Rice unless otherwise noted. Simple theme. Powered by Blogger.